Did you know that men have health issues?? YEP! Contrary to popular belief (mostly on the mens side) men do have health issues and concerns that they should see a doctor about. Now if your man is one that believes that he should only go to a doctor if he is bleeding or dying he isn't alone, most men don't even think about going to a doctor unless there is a major issue going on. 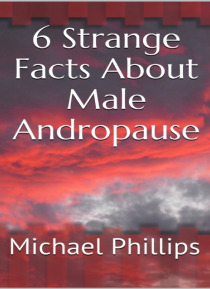 In this ebook, y… ou'll find helpful tips on:-Andropause and DHEA-Anti-Aging Facts and Myths-What Experts Are Saying About Andropause-And MoreGRAB A COPY TODAY!